April 27, 2019 - Holistic Veterinary Medicine and Nutrition with Dr. Buchoff 11:00 am- 12:00 pm - Reserve Your Seat! Please Join us for a very informative Seminar with Dr. B. He will be discussing Holistic Veterinary Medicine and the benefits of healing through Nutrition and Functional Foods! You don't want to miss this seminar! May 4, 2019 - Vaccines - Everything You Need to Know! 11:00 am -1:00 pm Reserve your Seat! Please Join us for this super informative lecture by Dr. Sarah Urban, DVM, who will talk about vaccines, how often you need to vaccinate, possible reactions, and how to speak to your vet about vaccines. Vaccinosis is a serious problem that is leading to many of our pets' ailments these days such as Cancer, Auto-Immune Disease, Seizures, Allergies, and so on. So plan to spend an hour learning about how we can keep our pets safe and free from all of these toxins they are subjected to everyday! May 8, 2019 - 6:00 pm- 8:00 pm - Myths of the Pet Food Industry with Rob Downey Reserve Your Seat! 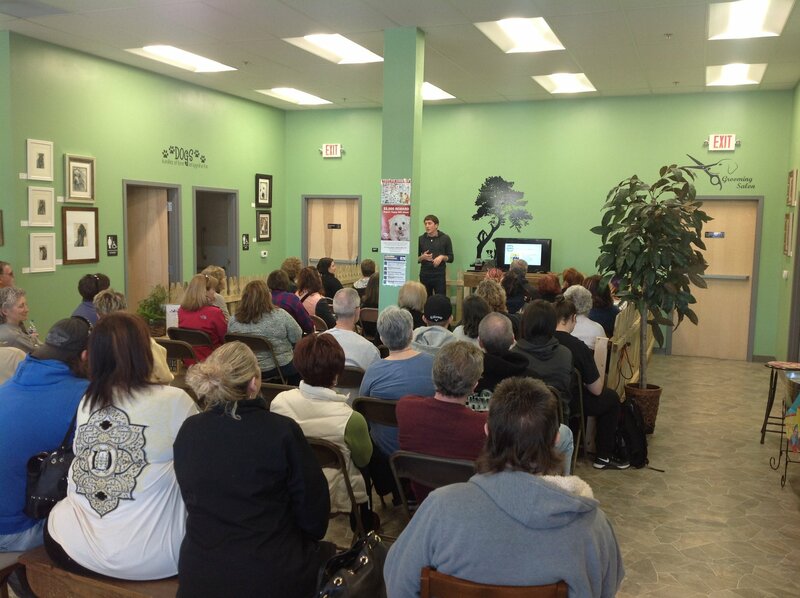 Please join us for a very informative Seminar with Rob Downey, a Nutritionist and President of Annamaet Pet Foods. He will be here tackling a lot of the questions everyone is having these days about Pet Food and the many misconceptions that pet owners have about pet food industry in general. Please make some time to come out and learn about this industry and how you can keep your pet healthy! October 6, 2019 - 10:00 am - CPR and First Aid Certification Sign Up Here! Call us for more information and to sign up. Class spaces are limited, so sign up early!